Maid service Linen and towels included. Clean at start and end. Shopping Boulangerie 2 mins drive. 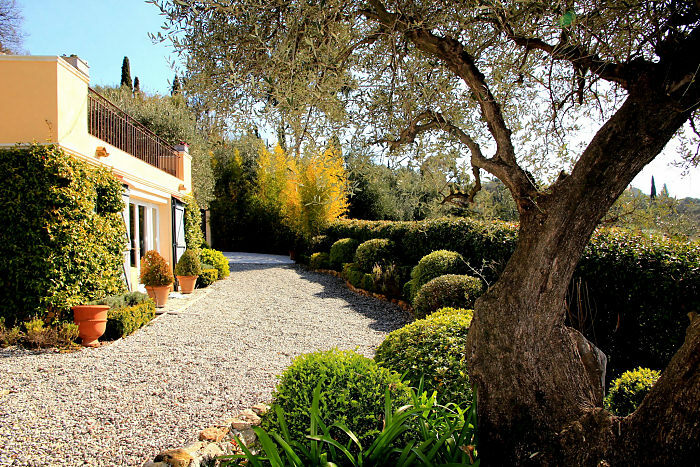 This beautiful villa near the popular village of Valbonne is on two floors, with four bedrooms (two master suites and two guest rooms) and four bathrooms / shower rooms. 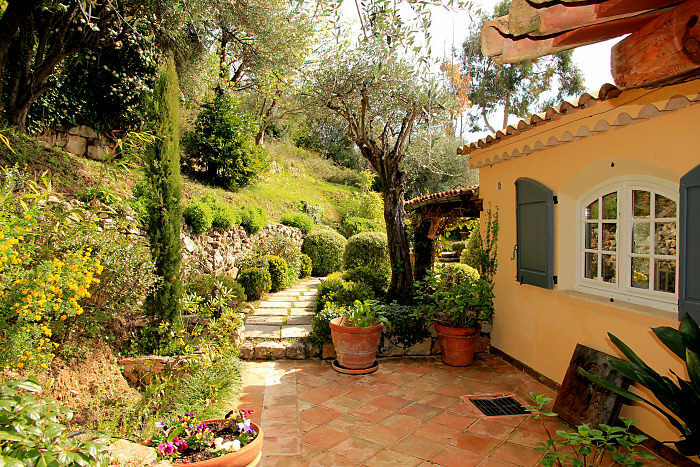 The garden is approximately 1800 m2 and has 27 300 year-old olive trees. The stone floors throughout help keep the villa cool and welcoming. The master and first guest room have sea views. There are five separate terrace areas and a huge 48 m2 "auto covered" terrace and outside eating area overlooking the pool and sea view. Outside are two areas to eat - one under cover of the "sun roof" and the other near the barbecue area. The pool is heated to 28-30 degrees C from May to October and there is an outside pool shower room with hot water adjacent to the pool. 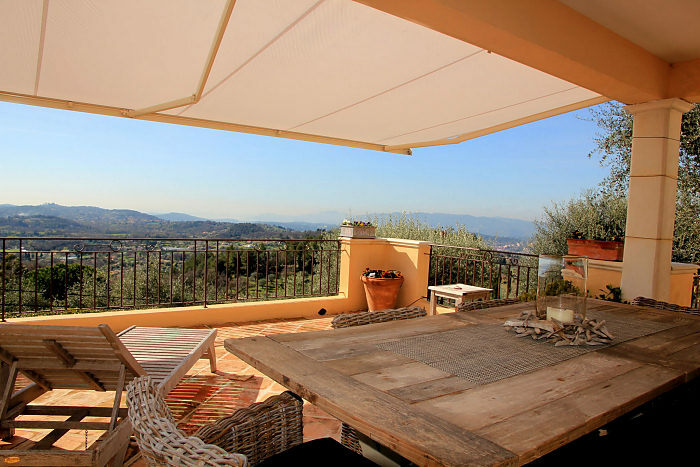 If you want to party in Cannes and Juan Les Pins but want to have a retreat within easy reach of the hot-spots, then this is the place to be. 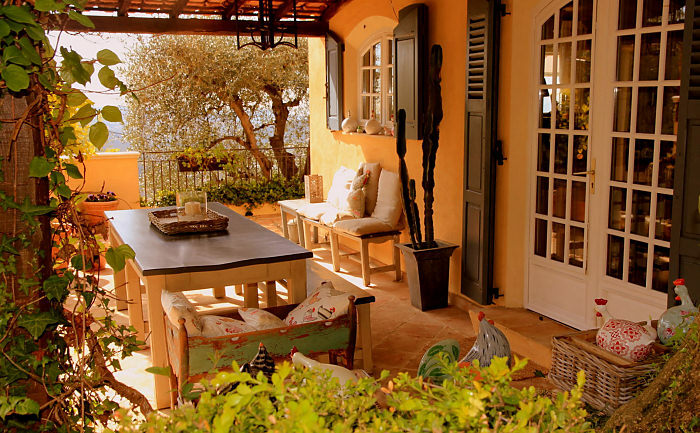 Although on the Cote d'Azur you might feel you are in the quieter area of the Dordogne or Perigord. Barbecue, Pool Heating, Private Pool, Parking, Garden. Dishwasher, Fridge, Fridge/Freezer, Hob/Stove, Iron, Microwave, Oven, Tumble Dryer, Washing Machine. Central Heating, Internet Access, Room Fans, Telephone, TV.